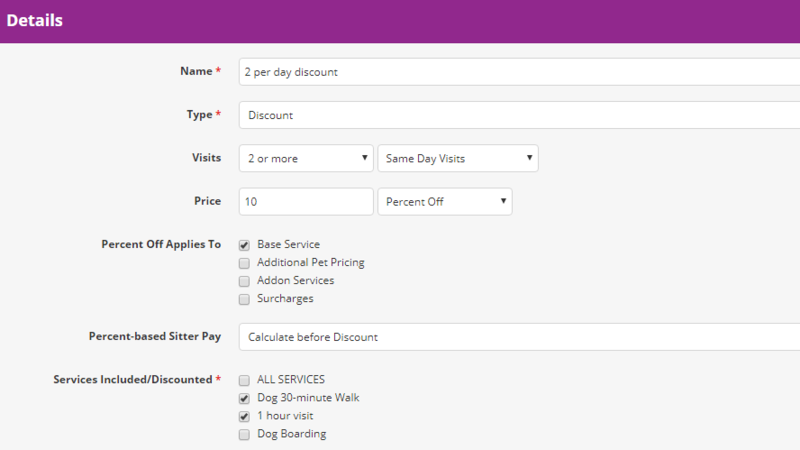 OPTIONAL - This functionality is an improvement on the Frequency and Combination Discounts (setup at the service level) in that they can apply to multiple service types at once and they have more options to fine tune the pricing (percent off instead of just a set price, etc). The order of the discounts will determine which ones take priority (only one discount can be applied to a visit), top being the highest priority. Use the "Reorder" view to change the order/priority of the discounts. 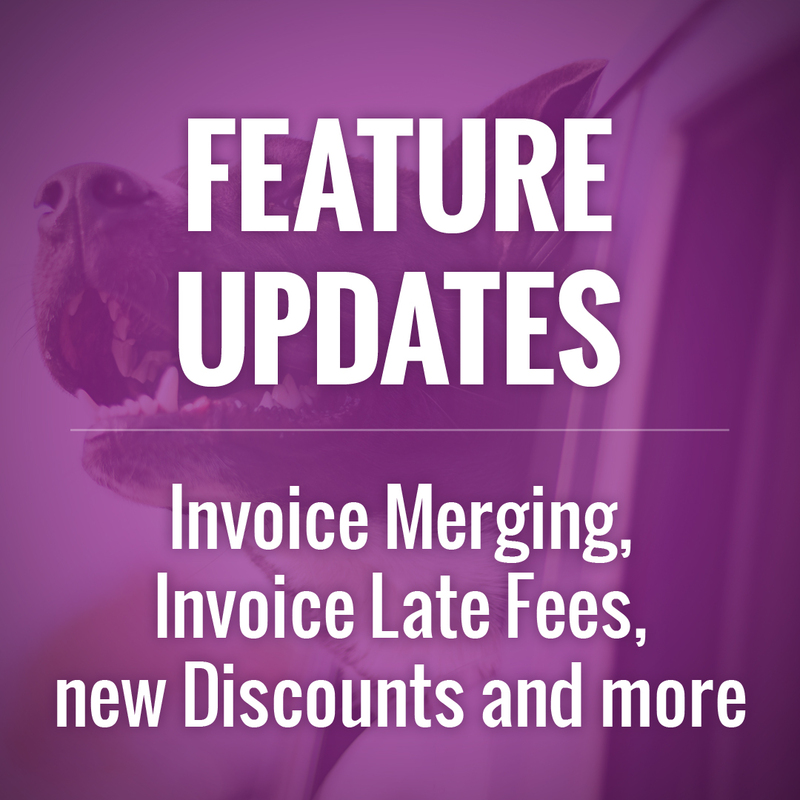 EVERYONE - Something that is happening more frequently as our customer base grows and as time goes by is that clients are moving between companies that use our system. This is a problem because since they already have an account they then need to use an alternate email address to create a new account. This solution is for when they are creating a new account (with or without an invite). Instead of just giving them an "email is in use" error, the system will prompt them to enter their password. 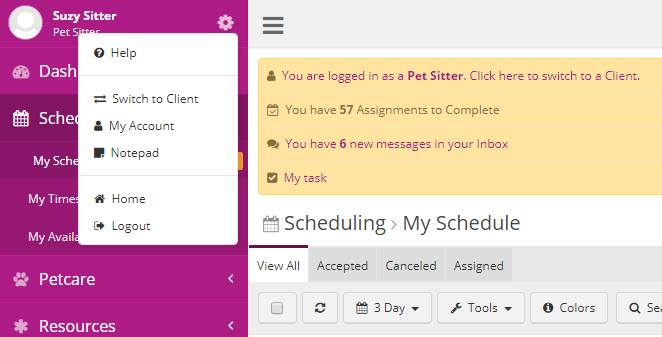 In doing so it will switch their Client Login to the new company. 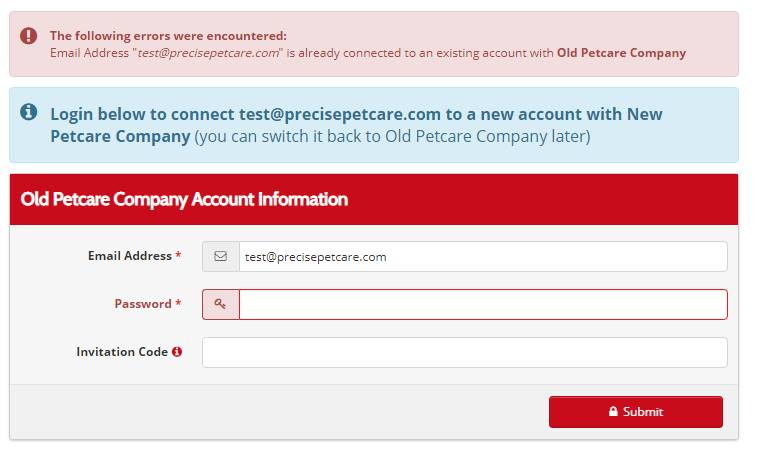 They can switch back to the old company at any time from their My Account page. NOTE: this is ONLY for Client Logins. Client Profiles are not affected in any way. OPTIONAL - There may be cases where you hire a client to work for you or have a staff member who is also a client. This will allow them to access both their staff and client accounts from a single login account.